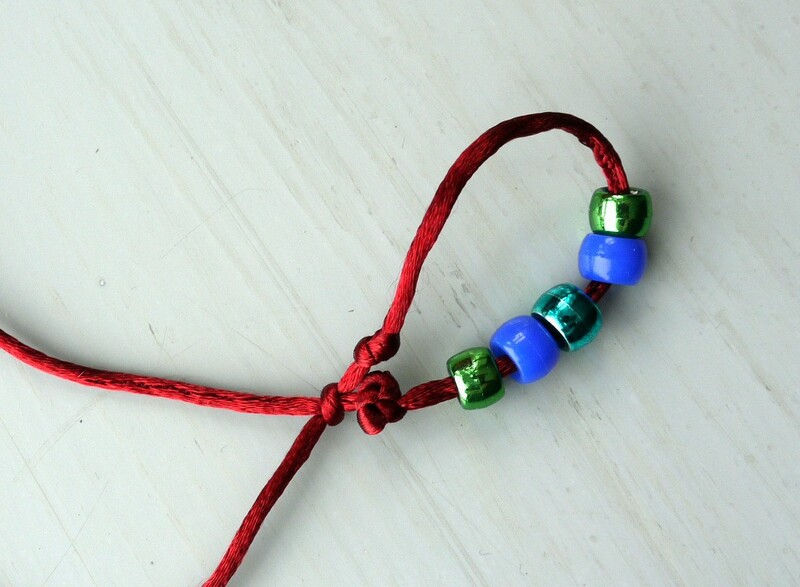 The sliding knot on this simple to make child's bracelet makes it easy to get on and off. 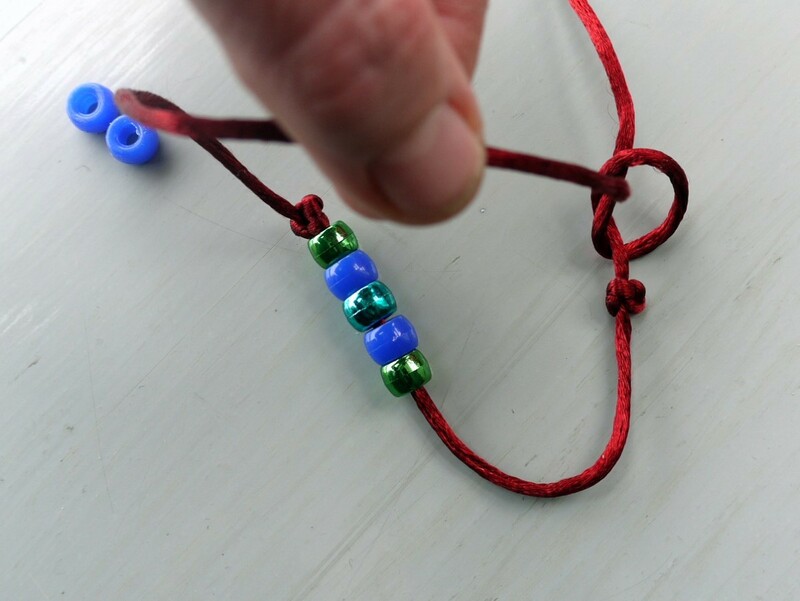 This is a guide about how to make a sliding knot bracelet. There are plenty of lovely jewellery items available to buy for little girls, but very little for boys. 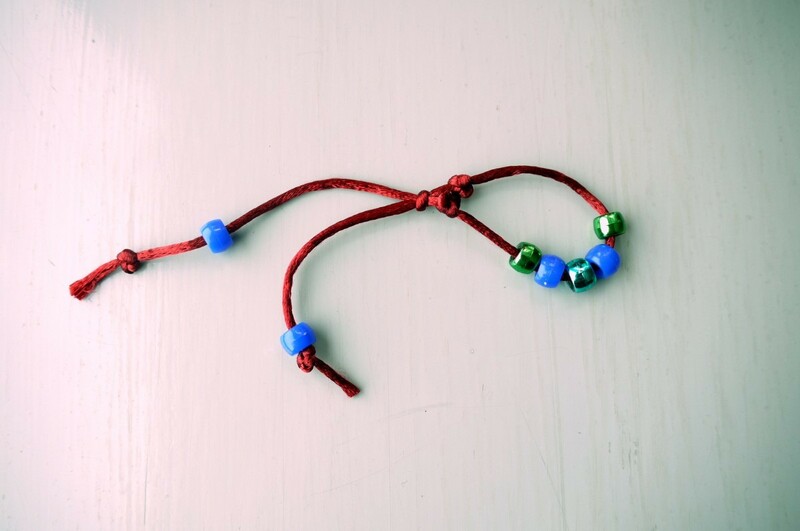 This is a cute wristband for little boys to look super cool. 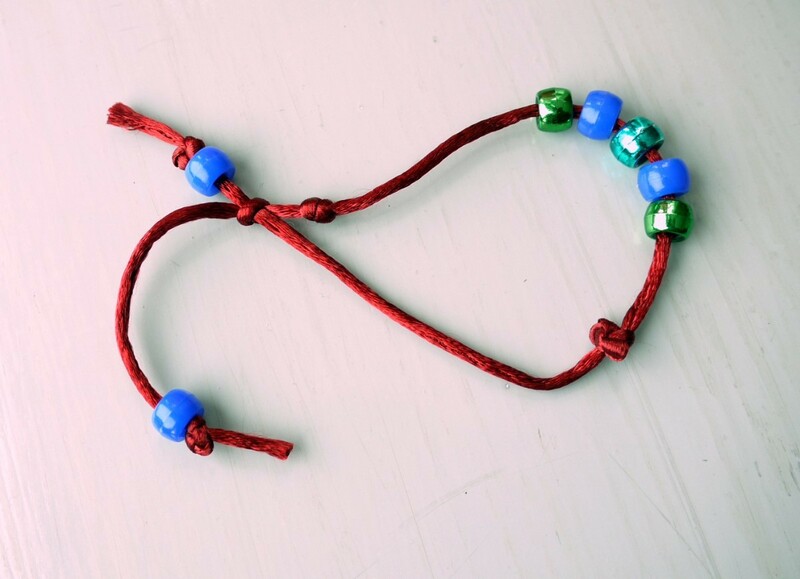 It has a sliding knot to make it easy to wear and it is quick and simple to make. 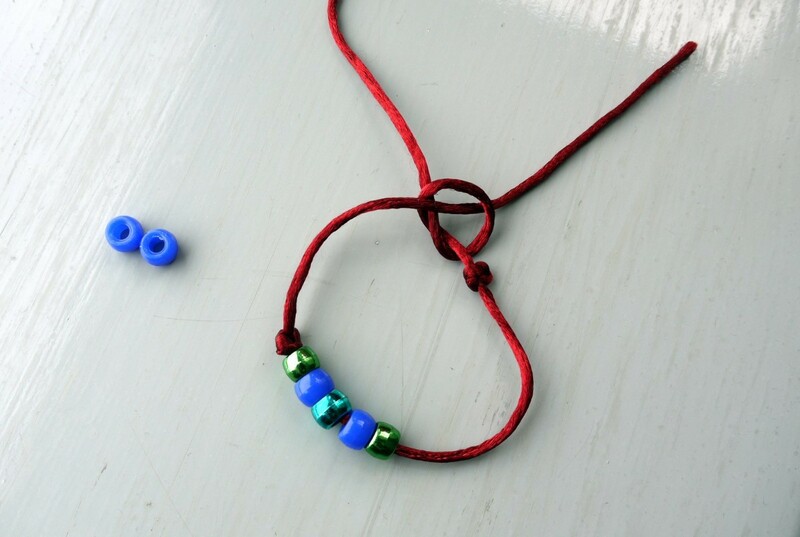 Thread some of the beads onto the cord. Make sure you have 2 left over. 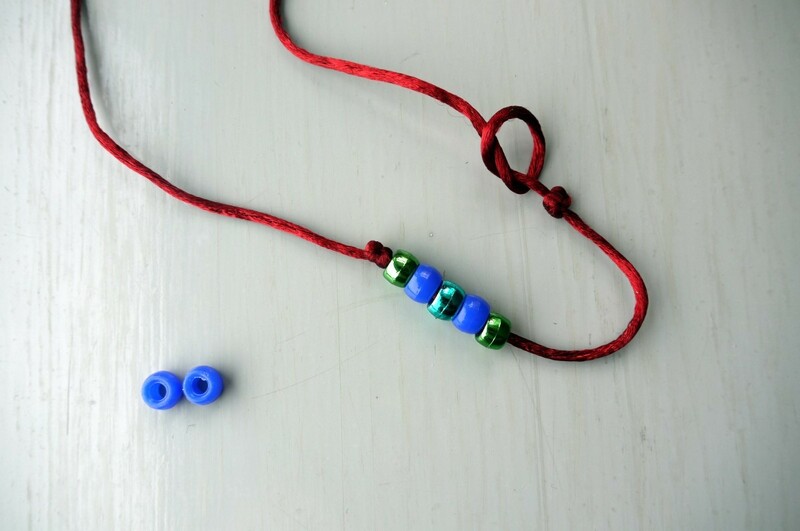 Tie 2 knots either end of the beads. 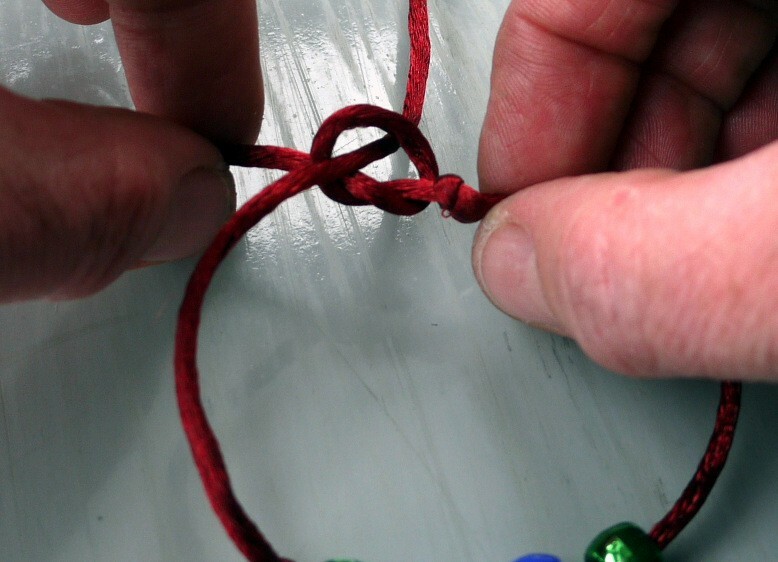 The knots should meet when the cord is wrapped around the wrist. 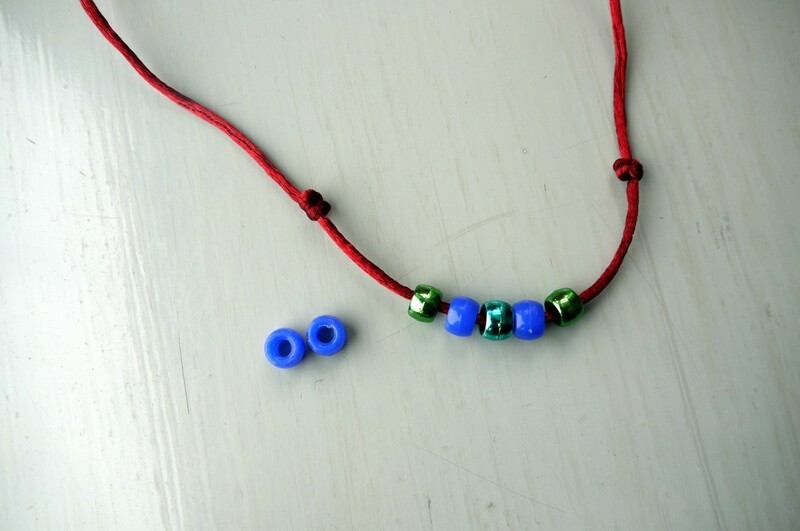 Make sure that they are big enough to stop the beads slipping off. 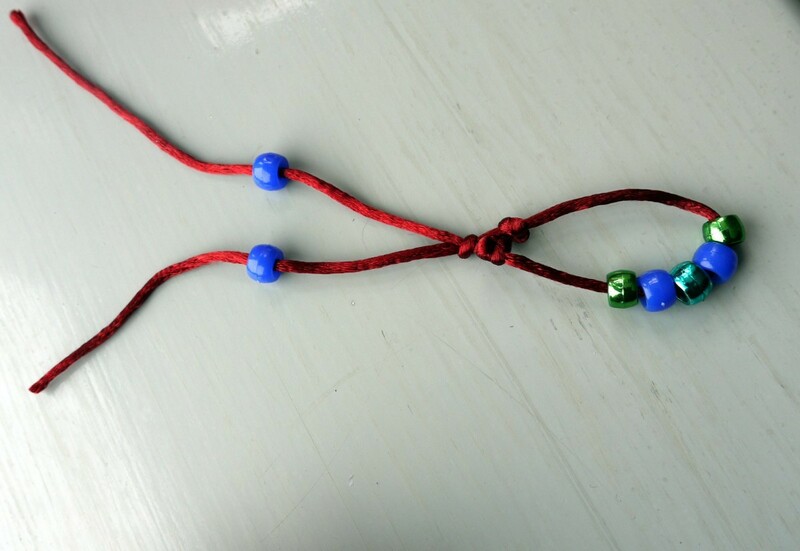 Tie another knot near one of the first ones the other side of it to the beads. Do not pull it tight. 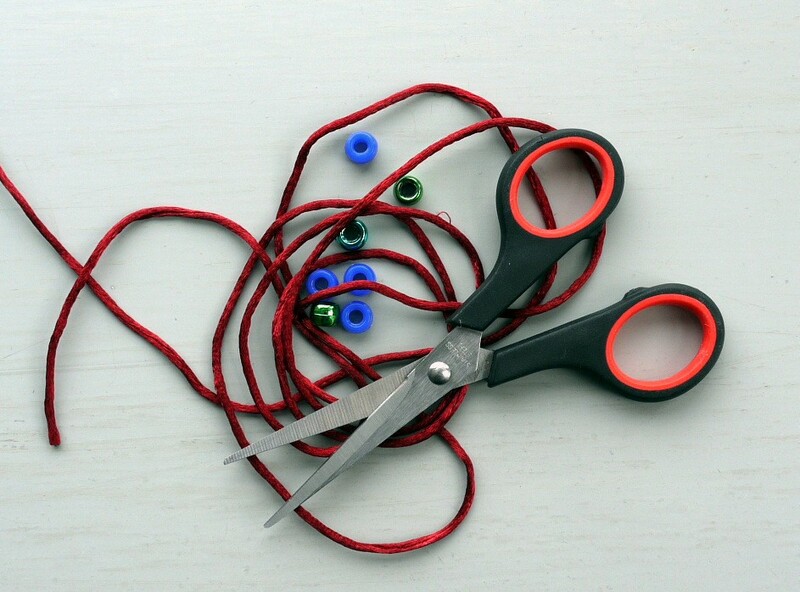 Thread the other end through this knot. 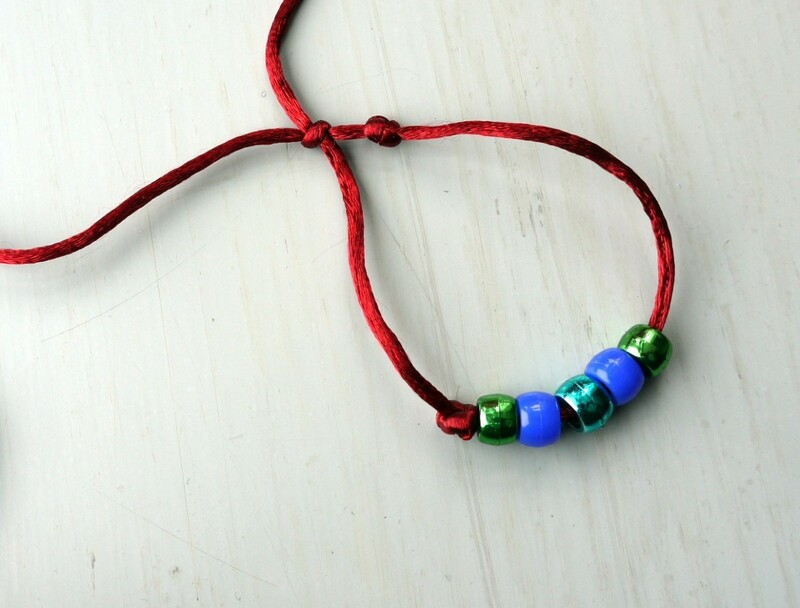 Now you can pull the knot tight. 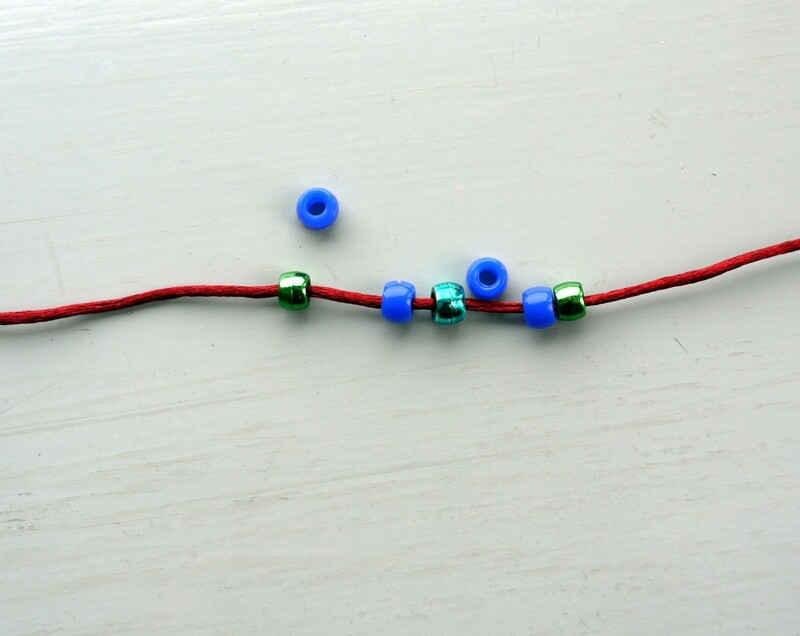 Thread your last 2 beads onto the cord ends.